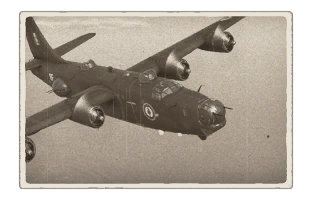 The PB4Y-2 Privateer is a Rank IV French heavy bomber with a battle rating of 5.7 (AB/RB/SB). 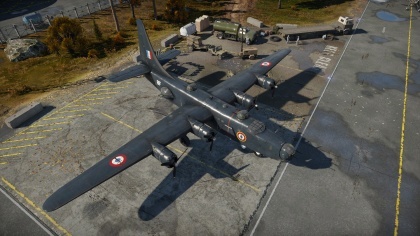 It was introduced in Update 1.73 "Vive la France". ? ? ?,000 ??.? ??.? ??.? ??.? ??? ? ? ?,000 ??.? ??.? ?.? ?.? ? 38 mm Bulletproof glass in front of nose gunner. 12.7 mm Steel plate in front of nose gunner. 9.5 mm Steel plate underneath nose gunner. 9.5 mm Steel plates behind pilots. Three 9.5 mm Steel plates inside fuselage. 9.5 mm Steel plates behind and under radial engines. 12.7 mm Steel plates behind dorsal gunners. 38 mm Bulletproof glass in front of beam gunners. 9.5 and 6.35 mm Steel plates in front of beam gunners. 55 mm Bulletproof glass in front of tail gunner. 9.5 mm Steel plate in front of tail gunner. This page was last edited on 31 January 2019, at 02:23.